Of course, I had to have them. Loved that they came 3 to a set. I’m sure they have something similar to this at the Dollar Tree?? All I know is that I had to have these. So I figured these would be the perfect little containers for making CVC words!! GAH!!! 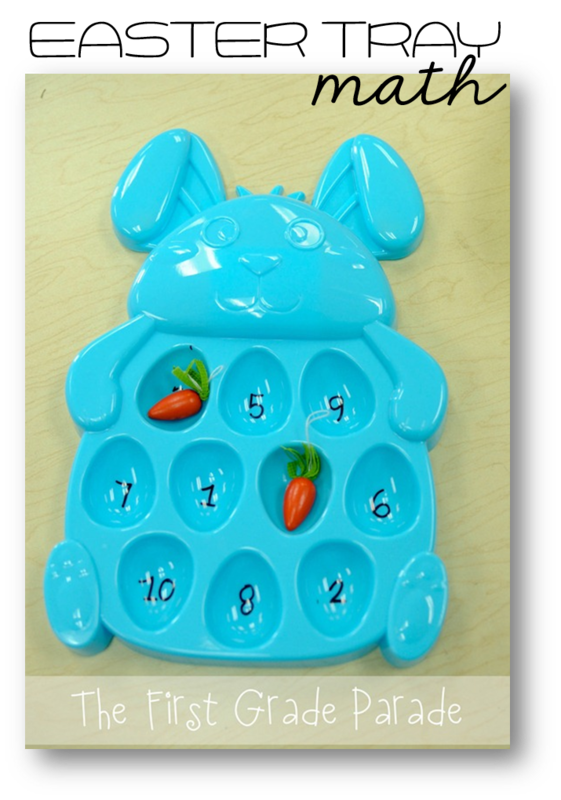 I placed letter dice in each of the rabbits and then numbered the bellies on the front of the container (that way the kids will know which letters go 1st, 2nd, 3rd in sequence). We’ve seen a million activities just like this one so this is definitely nothing new. 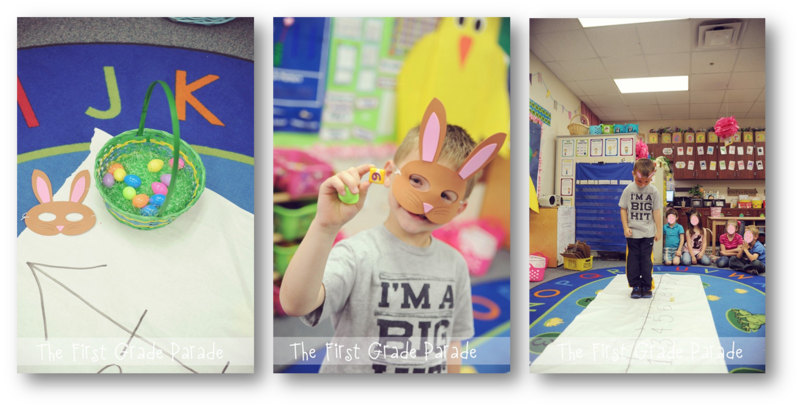 I just love having these cute little containers to make this activity a little more exciting! 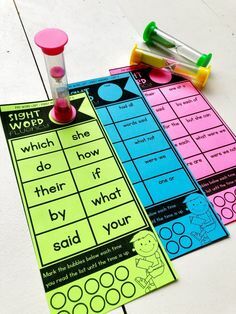 The kids will have to shake the containers, read the letters on which they land, write them in sequence on the recording sheet, and then determine whether or not the word is real or nonsense. 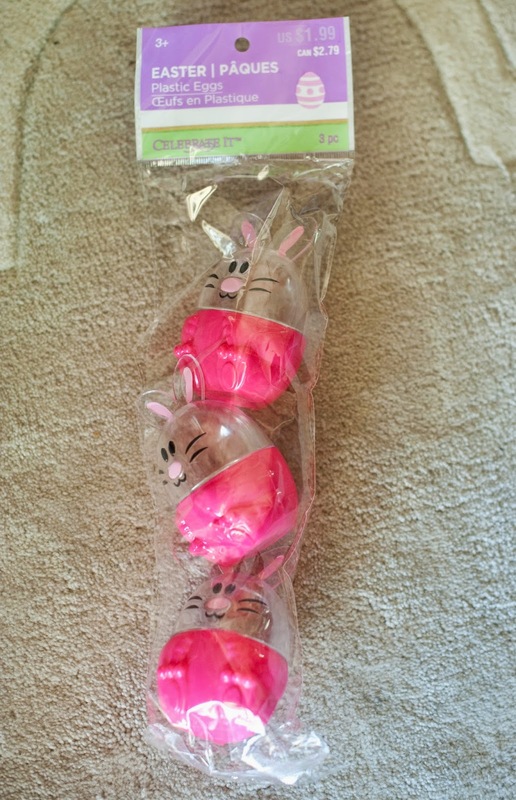 Michael’s also had these fun little chick containers, too. And like any teacher would do in my situation, I picked up a set of these also. I decided to incorporate a little math with these and so for this activity kids will be creating 3 addend equations. 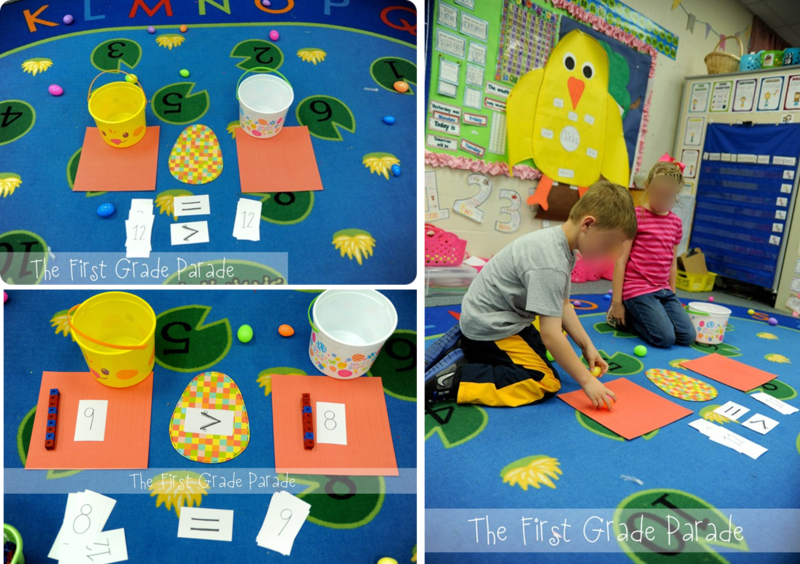 Just shake all 3 containers, read the number on which you land, record the numbers, add, and solve! I like to make sure my kids have access to seasonal manipulatives for activities like this…just in case they need a hands-on piece to help them solve their problems. You can grab both of these recording sheets in this freebie!!! Just click on the pic. I found the counters at the Dollar Tree and then labeled each of the egg sections in the tray with a number. I had my kids toss two counters into the tray and then add the numbers together. We also did this with subtraction and mixed operations. It was great for literacy centers, too. I kept the numbers in the tray and then had my kids toss one counter onto the tray. If we were learning about the “sl” blend (for example), I’d have them toss the counter, land on a number and then find a matching number of “sl” words in the room…or create a list of 7 real/7 nonsense sl words. Does that make sense?! 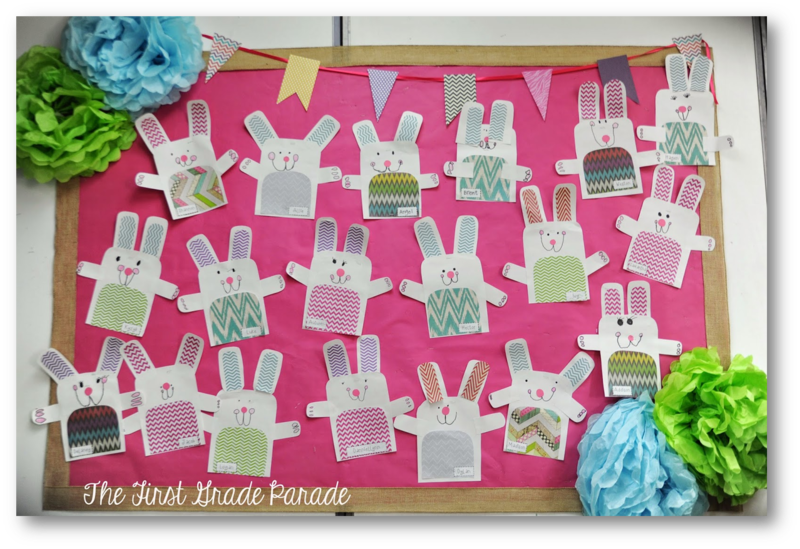 No thematic unit is complete without a fun bulletin board and these are two of my favorites! 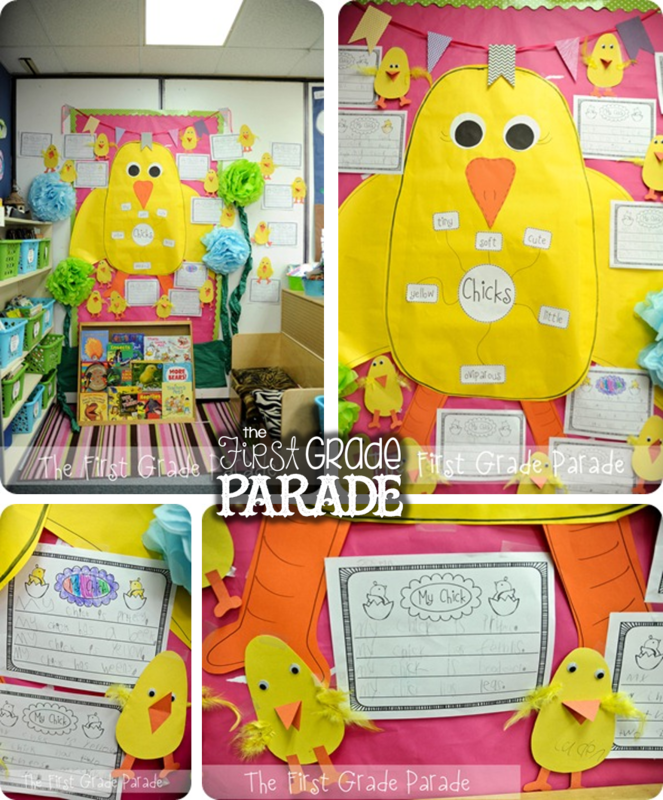 This is the display we put up last year…inspired by Jennifer at First Grade Blue Skies. This was one of my favorite craftivities of the year!! We put this one up the year before and it coincided perfectly with our study of oviparous animals. I think I’ve been having my kids create their own little chicks for the last 12 years! They change a bit each year, but I typically keep the writing the same. 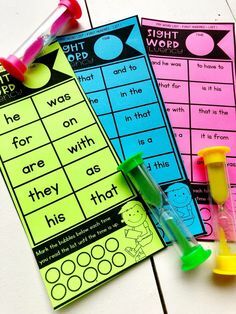 I always have my kids practice using descriptive words in their writing when we do this activity. Any time we’re writing about a non-fiction topic or anything that’s concrete, they can write for days. You can scroll all the way down for this writing template. 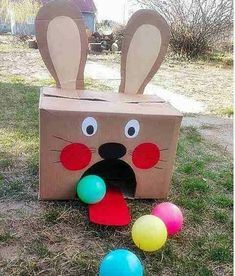 Last year we read The Easter Bunny’s Assistant and then I had my kids respond to the story by writing about why they thought they would be a good assistant to the Easter Bunny. And the responses were hilarious!!! I paired the writing with a directed drawing activity. Are they not amazing?!?!? I got the idea from THIS PIN on Pinterest. I would have LOVED for them to paint the canvas version, but at this time of the year, ain’t nobody got time for that. I don’t have instructions for the directed drawing. I just sort of came up with it as I went along. They’re SUPER simple to draw and the kids LOVED it! 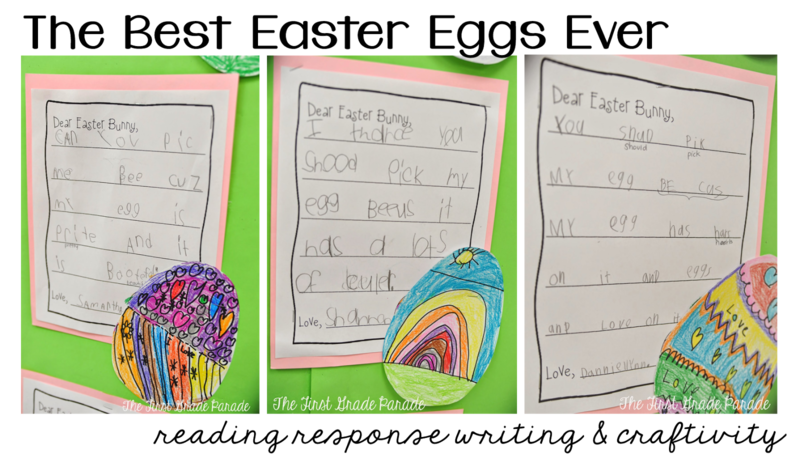 We also read The Best Easter Eggs Ever and I had my kids decorate an egg and then write a letter to the Easter Bunny persuading him to choose their egg as THE Easter egg of the season. Too cute! And of course, life sized whole group games make learning FUN. Here are a couple we played the last few years. Interactive, hands-on, and such a HOOT!!! You can read about this number line game HERE. And you can read about this greater than/less than whole group game HERE. Now go ahead and get your freebie on!!! Thank you for sharing your super-cute, super-fun, super-meaningful ideas. These are great ways to spice things up all spring long.